Less than two years after Mortensen's turn in Sean Penn's directorial debut (see #4), he and Penn were both scooped by Brian De Palma for his 'other' rise-and-fall crime story. He burns brightly as a paraplegic snitch who's reduced to a sobbing wreck by a shouty and histrionic Al Pacino. Aged 33 and after six years of supporting work, Mortensen finally landed his first leading role. He didn't squander it. As Frank Roberts, the restless destructive brother to David Morse's smalltown lawman, he projects an unnervingly dark side, gaining gleaming notices for his trouble. Even with post-Rings status, Mortensen chose Canadian auteur David Cronenberg's revisionist neo-Western as his next project [sic]. The result is a character whose true nature you're never sure of: is he a killing machine hiding his past, or a loving man trying to escape what he does better than anyone? 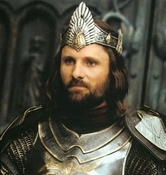 One of movie history's serendipitous moments, Mortensen initially didn't want the role of Aragorn, but was convinced by his son to join Jackson's fellowship two weeks into shooting. The role fits like a mail glove, appealing to his outdoor nature and allowing his previously unseen sensitive side to shine through. The second collaboration between Cronenberg and Mortensen provided the actor with more meat. 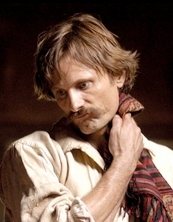 Promises' Nikolai occupies less screen time than History's Tom, but the Russian gangster is a more complex character. The directors trust enables Mortensen to enrich and texturise what would, otherwise, have been a solid but straightforward role.